Be sure to visit LacrosseAllStars.com for the full event recap, complete with photo and video of the event. Here at Lacrosse All Stars, I cover a ton of NCAA games, spend quite a bit of time with the MLL and NLL, and will go catch a women’s game when I can. International stuff doesn’t come around the Northeastern US too often, but I’m always happy to cover a game when the opportunity arises. But when it comes to prep or high school club lacrosse, I rarely watch it, and usually I like it that way. I’ll coach at the high school and youth levels for sure. When it comes to actually covering it from a media perspective, I’ll usually pass. There are several reasons for this. One of the biggest is because news out of the recruiting world over the past several years is something that, at times, can be one of the worst aspects of our sport in my eyes. Then I was asked to cover the PrimeTime Shootout this past June. Imagine my hesitation at that assignment. But as I thought about it, this seemed like a great chance to actually see with my own eyes if any of these recruiting tournament horror stories were real, or just great Twitter fodder. The PrimeTime Shootout is organized by PrimeTime Lacrosse, which is a lacrosse organization that hosts a number of events, and they run their own club teams as well. What is most important here is to highlight my biggest takeaway from this event. It was a fantastic weekend of lacrosse, and I enjoyed it all. Going in, I was bracing myself for a weekend of the usual stuff people complain about. Over-scheduled kids getting shuttled field to field, parents yelling at refs, out-of-control coaches, and just high levels of stress all around. However, from the moment I stepped foot on Babson College’s campus in Wellesley, MA, the fear of hearing those stories started quickly fading away. I was greeted by Tyler Low, the co-founder of PrimeTime Lacrosse. He gave me an overview of the day, the layout of everything, and what they were looking for. For someone that was running a tournament as big as this, he seemed incredibly relaxed. He was focused on making sure everyone had what they needed to get the first games going smoothly. The PrimeTime Shootout spanned three locations. There was the main spot at Babson where I started the day, but also a handful of fields nearby at Wellesley High School, and yet more action over at Wellesley College. In total, there were 14 fields across the three sites, 16 divisions. In the words of one college coach, “Wow, it’s just incredible how many kids are out here just to play lacrosse.” For every team on the field, there was always at least one off to the side warming up. A big focus for this tournament from PrimeTime’s perspective was making sure the college coaches had a great experience. Each one I talked to was not only confirmed that without prompting, but also mentioned they were seeing the exact talent they were hoping for. Even though there were coaches from colleges all over the country, the obvious (and expected) concentration was colleges in the New England area for NCAA Men’s DI, DII, and DIII. Many of these schools thrive on getting the best talent from an hour or two drive from campus. With so many teams fielding players from that exact footprint, the match was excellent. In terms of colleges and recruiting, the thing that jumped out to me was the immediate impact the relatively new NCAA recruiting rules had. Instead of having to cover several fields and divisions, the coaches were able to focus just on the oldest divisions. For some schools, that meant players going into their senior years who they could already contact, but may not be on the radar yet. For others, it meant those about to be juniors, who they might get the first chance at soon. The thing that really stood out to me for players was how some things are the exact same as they’ve always been. Fighting to find shade between games. Packing mouth with food. Attempting to stay hydrated as often as possible. You know, the priorities. While some players, without question, were there to be seen by college coaches, there were some that just relished being part of a team. It showed. Just because these players don’t practice six days a week for months doesn’t mean the team environment was sacrificed. And that was something I was very pleasantly surprised to see. Perhaps the most reassuring thing I saw all weekend was the number of players who, despite playing lacrosse all weekend, could not stop playing lacrosse. For all the talk about burnout, I found myself trying to navigate pickup games and stick trick contests from players during breaks between games. The structured warmups and coaching were still there when it was appropriate, but it was proof there’s still more than enough young players out there who just truly enjoy this game. For the club coaches, this particular event offered them some great exposure for their players to two things. First, some of the best talent New England has to offer and second, some of the best colleges in the country. 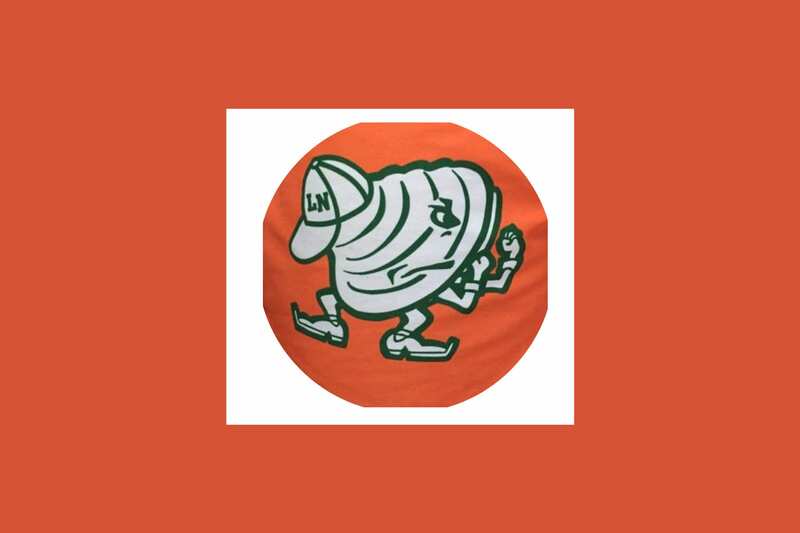 Aside from those benefits, the thing I loved to see was just how much the coaches…coached. In games, before games, after games. Nearly every team was getting whiteboard sessions after the game or in timeouts. This was true for the guys that are current professional players, to the high school coaches, to the guys that only have this as their coaching outlet. And it was a great balance of team concepts and individual development. When looking back on this experience, it was an overwhelmingly positive one. I was able to connect with plenty of familiar faces from nearly every part of my current lacrosse life. There were guys I’ve played with alongside players I usually only cover from the sideline coaching all sorts of teams. Coaches that I normally only talk to after games. Refs I recognized from all over. Parents from my time as a youth and high school coach. Everything seemed to mesh together. But the thing I could not let go of was despite the sheer volume of lacrosse being played. People were enjoying themselves. People were enjoying lacrosse. There was every chance in the world to complain about the heat, the long days, carrying gear from the parking lot, or something about the games themselves. But I saw smiles all day from the first thing in the morning all the way to the trek back to my car at the end of the day. The age division, level, or game didn’t matter. It was a great event for all. 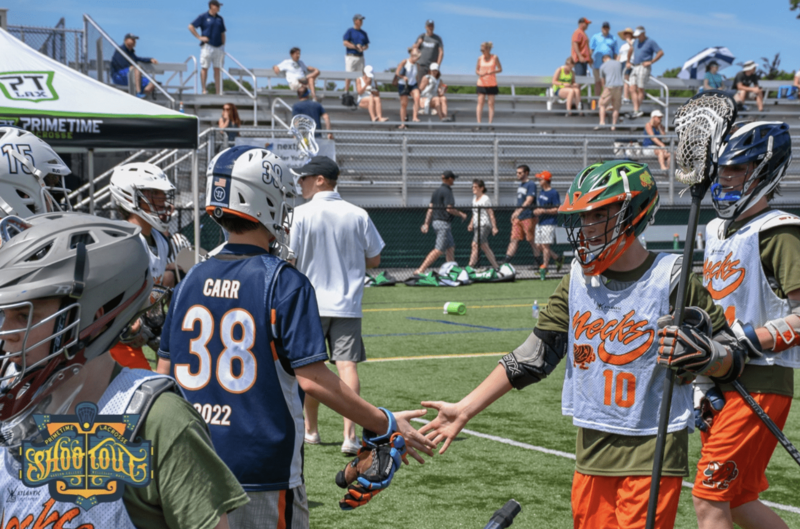 Editor’s Note: Lacrosse All Stars has partnered with PrimeTime Lacrosse to cover their next-level events across the Northeast. 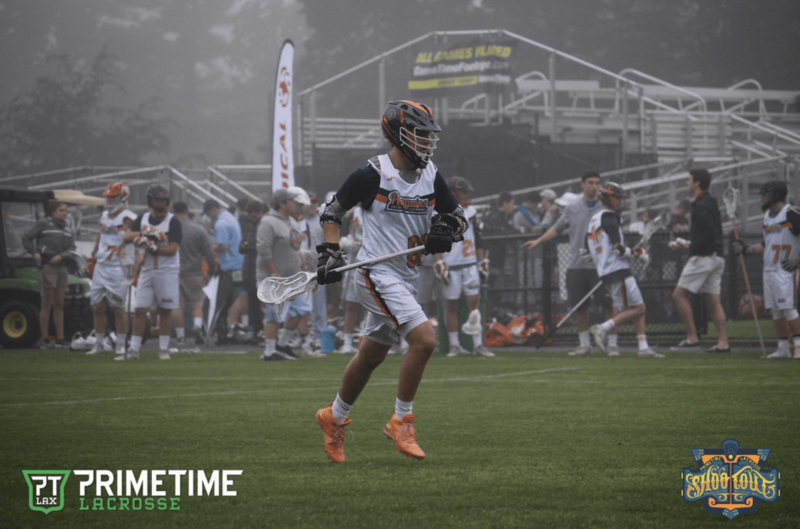 We asked Ryan Conwell to head out to Wellesley one weekend to lend his unbiased opinion on what he thinks PrimeTime is all about. 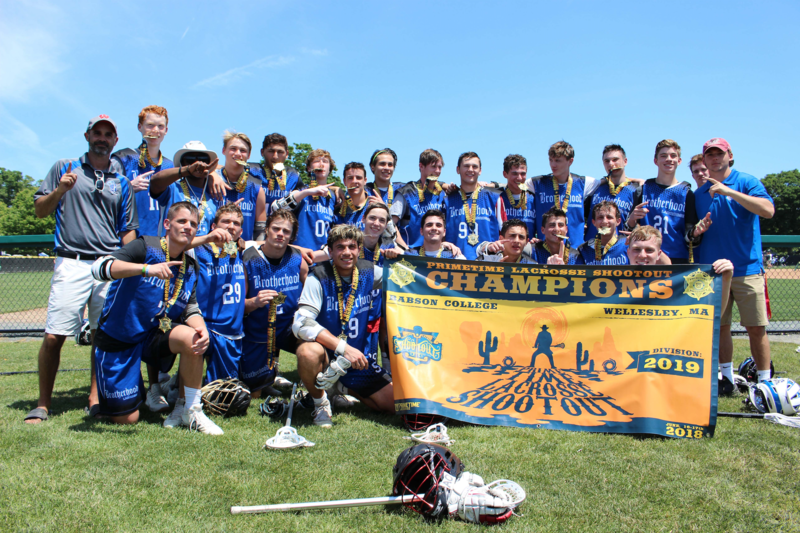 Founded in 2010 and based in Massachusetts, PrimeTime Lacrosse Events organizes world-class lacrosse experiences for elite youth and high school lacrosse clubs in North America. Our staff is 100% committed to the family experience.